Slar Powered Road Delineator Post provide clearly visible traffic guidance in all weather conditions. 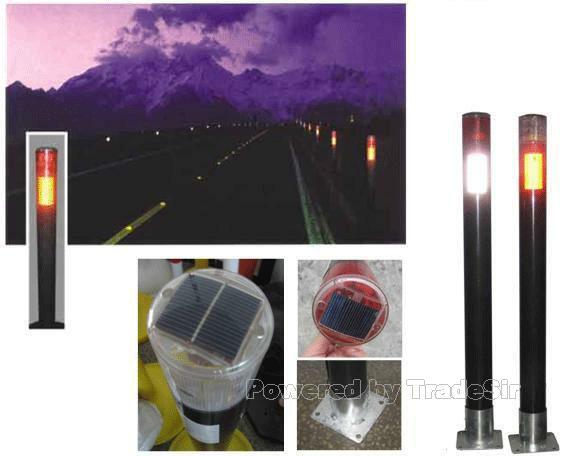 After being energised by the sun, Solar Power Delineator Post automatically star to shine when night falls or with the onest of inclement weather. The bright LEDs are hightly effective at getting the attention of drivers. This advanced warning gives drivers more time to avoid or navigate danger zones.